Sigal Zohar, D.D.S., General Dentist, graduated from Baylor College of Dentistry. She has been providing quality care to her patients in the Metroplex area for over 17 years. Dr. Z is great with kids and adults and wants to be your family's dentist. She is experienced in every aspect of general dentistry. Dr. Z enjoys educating her patients so they can choose the best course of treatment for their needs. 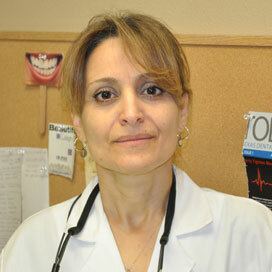 She is a caring doctor who has a personal and conservative approach to your dental treatment. Dr. Z is a member of the American Dental Association, the Texas Dental Association, and the Dallas County Dental Society. When she's away from the office Dr. Z loves spending time with her husband and two kids, Shelly-Nicole and Parker.